It was a typical summer Pittsburgh wedding day and we were doing first look pictures along Pittsburgh's North Shore. We were walking along when we saw this beautiful yacht pull up along the walkway. 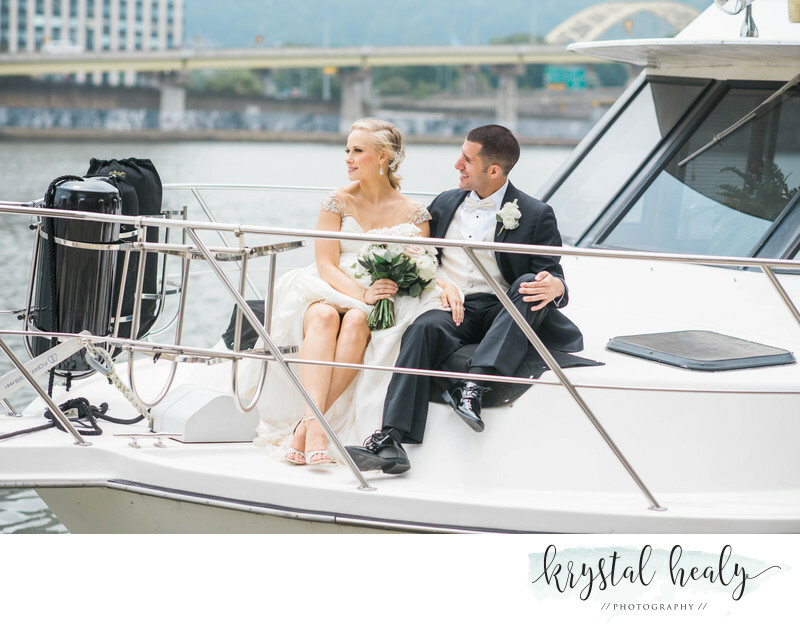 Our groom, Doug, mentioned how it would be pretty cool if we could do pictures on it... WELL, because Pittsburgh has the friendliest and most giving people around, the owners of the yacht were more than happy to let our couple and the bridal party jump on board for some wedding photos. After this awesome photo, we continued the wedding pictures on Mount Washington before their ceremony at St. Mary's on the Mount. It was all immediately followed by the wedding reception at the LeMont, conveniently also located on Pittsburgh's Mount Washington. Location: pittsburghs north shore Pittsburgh, PA 15203.